The holiday area Lechtal - Tannheimer Tal - Zugspitz Arena is located in the furthest west of North Tyrol. Live webcam View towards the alpine pasture “Ehrwalder Alm”. Live webcam Mountain station Gaistal. This holiday area is a little nature paradise located in the great world of mountains of the Lechtal Alps and the Ammergebirge mountain range. The nature park region Reutte, the so-called “Gate to Tyrol”, extends from the Tannheimer valley to the Allgäu region. Rural charme and municipal flair meet in the chief city Reutte and make your holidays even more varied. A look out of the window speaks for itself! A very popular hike in the holiday area takes you to the Alpine Flower Garden at the Hahnenkamm mountain, where you come to see about 600 plant species. This excursion destination can easily be reached by the Reuttener Seilbahnen lift facilities. In winter, however, there are skiing areas like the ski region Tiroler Zugspitz Arena with 142 km of ski slopes and 47 lift facilities. The “Allgäu-Tyrol-Hiking-Card” and the “Allgäu-Tyrol-Ski-Card” offer even more favourable and unforgettable holidays. Berwang invites you to a special mountain vacation in the holiday area Zugspitz Arena. 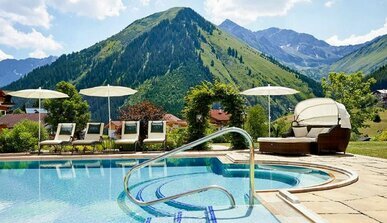 The popular holiday resort Breitenwang is located in the valley basin of Reutte. Ehenbichl is located in the valley basin of Reutte, far away from hustle and bustle. Elbigenalp, located in the heart of the Lechtal valley, is a stronghold regarding culture. Grän is a little village near Lake Haldensee in the beautiful Tannheimer valley. 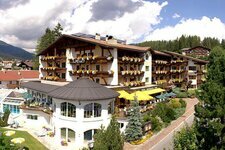 The holiday resort of Höfen extends to the 1,938 m high Hahnenkamm mountain. Kaisers is located in a side valley of the Lechtal valley at 1,518 m asl. 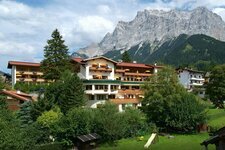 At the foot of the Zugspitze mountain, there is the holiday village Lermoos. The little village of Musau with its 400 inhabitants is located in the north of Reutte. The village of Namlos with its component locality Kelmen includes some 100 inhabitants. Pflach is an elongated row village, located only 2 km from Reutte. In the heart of the natural reserve “Natura 2000″, there is the holiday resort Tannheim. Already in 1327 AD King Ludwig IV vested the municipality of Vils with town privileges. Zöblen, the smallest locality of the Tannheimer valley, is located at 1,087 m asl.